Come and discover Camulodonum, the oldest recorded town in Britain; or as it is known today, Colchester. Uncover the Roman capital of Britain in our 2hr walking tour, including the remains of Britain’s oldest Church and only known Roman chariot-racing Circus. Working with Colchester’s Young Archeology Club, we have created a bespoke audio tour detailing the rich history of Colchester whilst helping a new generation to discover more about their home town. 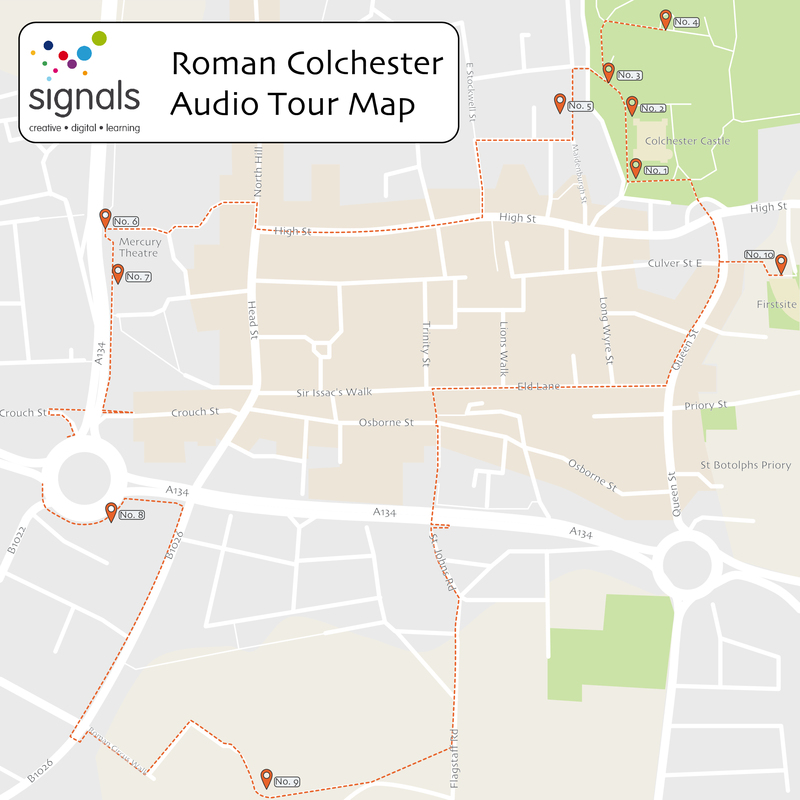 This audio tour forms part of our Dig Deeper project, which brought together a diverse selection of young people aged 11-25 to learn about Colchester’s Roman Heritage. They created an animation and free app for the Colchester Roman Circus Visitors Centre, you can learn more about the project here. This project was made possible through funding from the Heritage Lottery Fund. Below is a list of each ‘Point of Interest’ you’ll visit on your tour of Roman Colchester, beginning by the bridge outside Colchester Castle. Want to download the audio files? Click here. If you have mobile internet you can stream the audio tour on the go. You can also use Google Maps to direct yourself around the route. This guide is packed with Roman history and stories, however we can’t remove the modern day traffic you’ll see along the way – so please be aware at all times of roads, traffic and other pedestrians. We want you to observe the history and architecture you’ll pass along the way but please be equally observant of your surroundings. The audio guides available here are presented freely by the writers listed in the credits. Permission is granted to visitors to this website to make copies of the audio files and text for their personal use only. Permission is granted to use any information listed here for personal or non-profit use only.